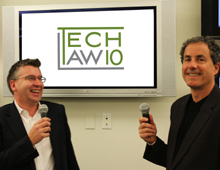 In this episode of TechLaw10 Jonathan and Eric discuss the Equifax breach. They give some details of the original breach and the subsequent regulatory action from the UK data protection regulator, the Information Commissioner. Eric looks at how board attitudes might be changing in the US and there is a short discussion on the rise of class action litigation in data breaches. Jonathan then explains some of the differences between the old legal regime and GDPR.